Valentine’s Day is quickly approaching and if you have a girlfriend/boyfriend who is in tech and/or likes fun stuff you’ll probably search for a coolest tech gift. In order to help you we’ve got you covered with the best and funniest gadgets to give gift your special someone. From best available hoverboards and Surface Pro 4 laptop to Samsung’s virtual reality headset and much more. Look no further than these 5 Valentine’s Day tech buys for her and him. 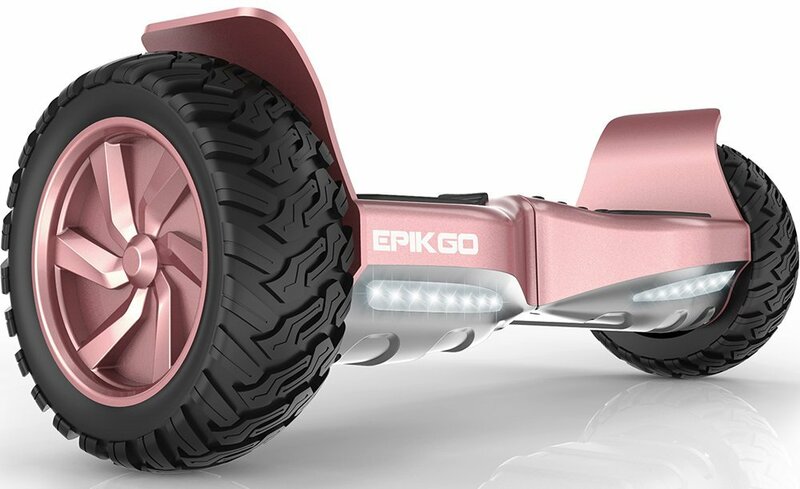 If you are in the mood to ride together with your better half or she is just an outdoor type EPIKGO Rose Gold hoverboard will make her day. Nicely designed all-terrain hoverboard with extra durability and yet gentle Rose Gold finish suites her perfectly. 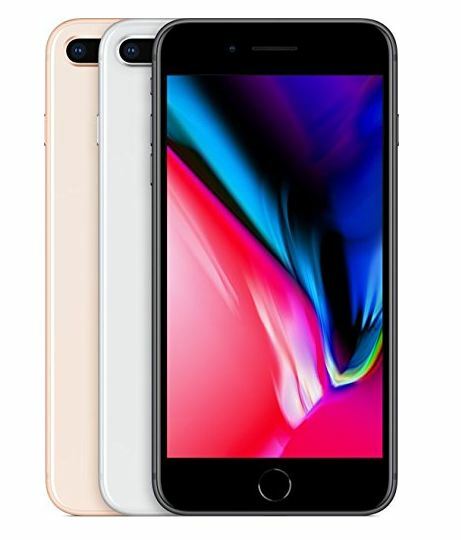 The new iPhone 8 Plus is an attractive smartphone designed and build to maintain top quality, phone features, tech specs, speed, camera capabilities and to provide maximum value for money. With IP67 water resistance and in silver, gold, space grey this would be very desirable and attractive Valentine’s day gift for her. Of course, gold edition would be the best choice. If your woman is a tech athlete the Fitbit Alta Fitness Tracker is a perfect stylish gift for her. 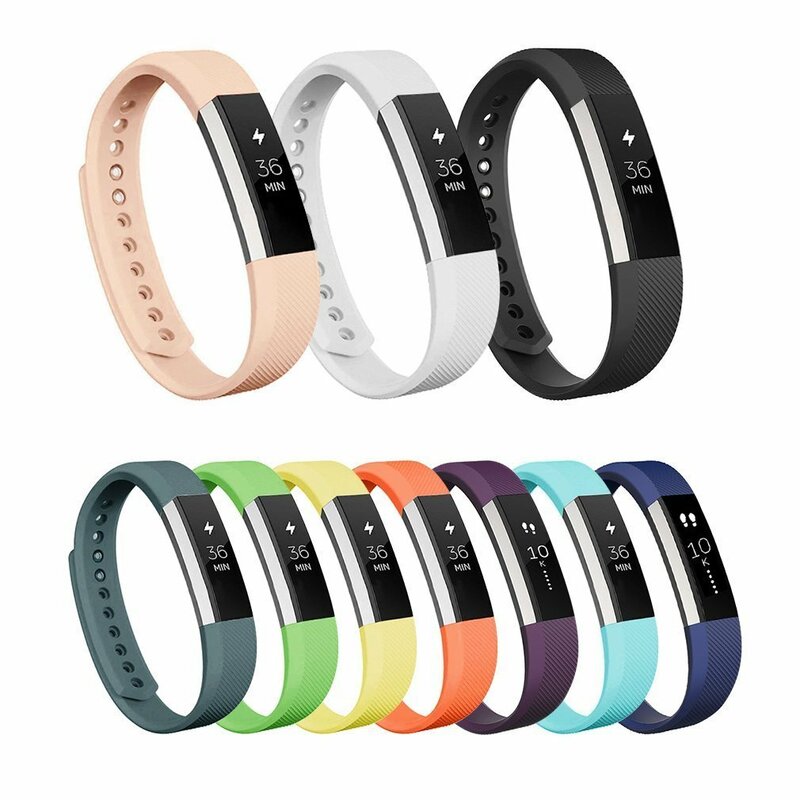 The Fitbit Alta with swappable bands, phone notifications and week-long battery life will give her maximum mobility to enjoy in. The Barnes & Noble Nook GlowLight 3 eReader is a great gift for a tech reader. 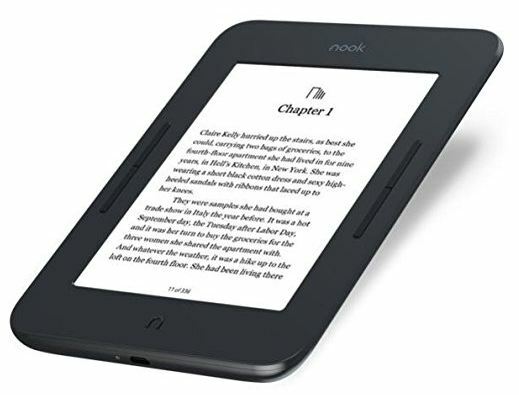 This is waterproof ebook reader for the beach or the bathtub, connectable to Wi-Fi and designed to meat lady’s hunger for a good read and to emphasize her elegant look. If your woman loves music and outdoor activities as much as she loves you, the Beats Solo 3 Wireless on-ear Bluetooth headphones by Dre will make her favorite tunes sound better than ever. They’re especially comfortable to wear and designed to be worn outdoors. 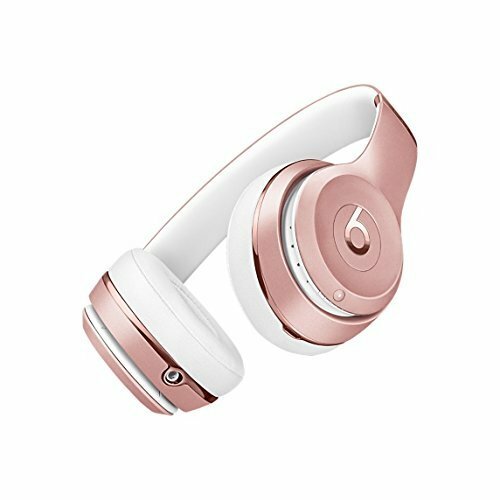 The Rose Gold headphones would be a great Valentine’s Day gift for her. 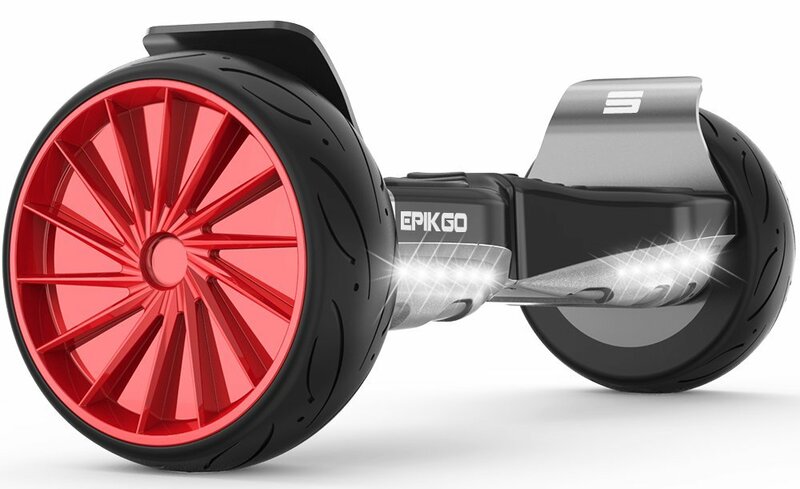 If he’s always wanted a product like a hoverboard, the EPIKGO Sport + is what he needs. This is the most advanced model of EPIKGO hoverboards as one of the best selling hoverboard brands in 2017. This practically indestructible sporting model will make your man the fastest and best looking hoverboarder around. Something that every man and boy hidden inside him would like to have. With Surface Pro you’ll never hear him complaining about a tablet again. 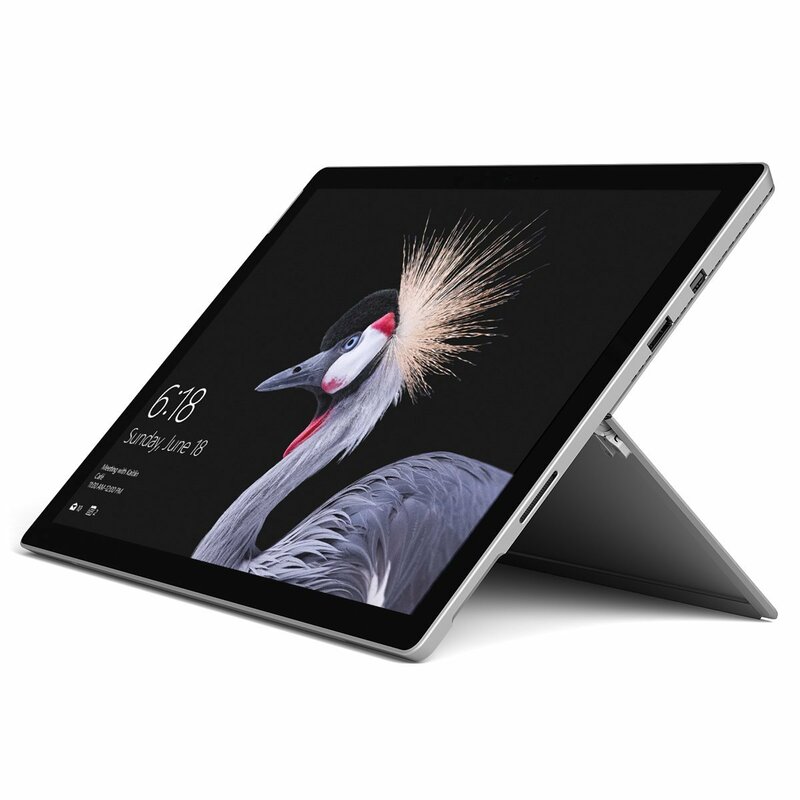 The latest Surface is ultrathin, fast, and versatile and has a fingerprint reader, a new pen, and perfect balance of portability and power. Surface Pro comes with 6th generation Intel Core processors with the full power of the latest Microsoft Office Suite3, including Outlook, Word, PowerPoint, Excel, and OneNote. This is the perfect solution and platform for all of your programs, apps, photos, videos and music. Amazon’s voice-activated smart home speaker Echo is futuristic, practical and smarter than ever. 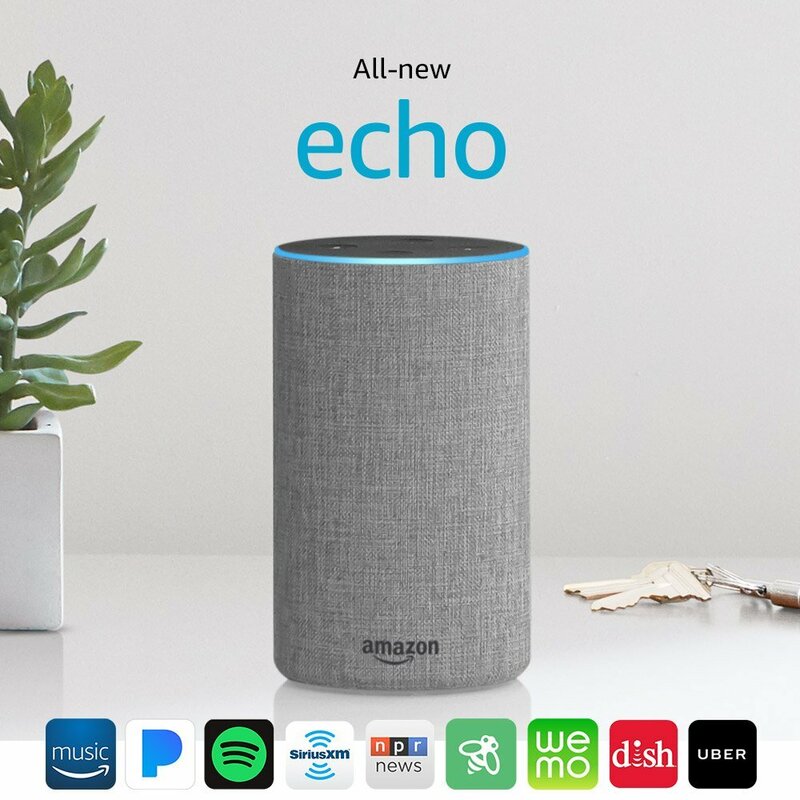 Amazon Echo will give your man the power to control all his gadgets around the house with the help of Alexa and to do almost everything around the house. Definitely this small and practical gadget is one of the best connected home products money can currently provide. 2nd generation of Echo comes in new design and with improved sound!!! 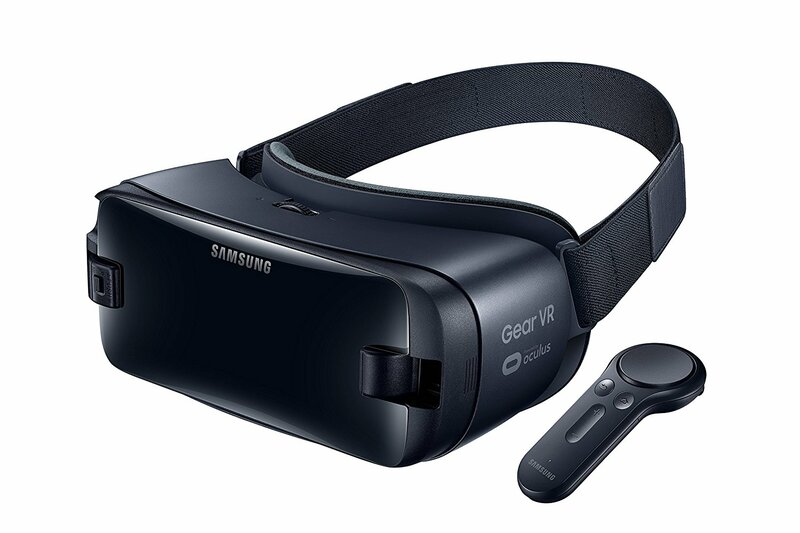 If you are a virtual reality fan take a look at the latest edition of Samsung’s Gear VR. It is a joy to wear, and it’s even more immersive than before and it’ll enable you to enjoy the world of VR if you are a Samsung phone owner. Just plave your Samsung phone in and start playing video games or watching movies in a virtual reality experience. The new Powerbeats 3 Wireless Earphones by Beats by Dre will give to anyone 12 hours of pure fun with finest sound. 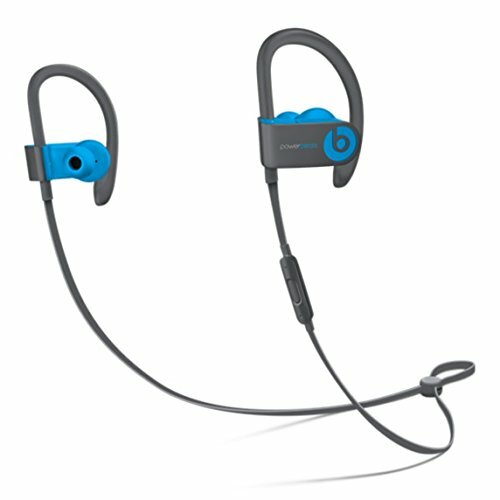 These earphones are available in black, white, red, yellow and blue color and they are tough, connectable to a phone via Bluetooth, water-resistant especially designed for workouts but perfect choice for any surrounding. The Black Friday 2017 didn’t even started yet and we already have first Cyber Monday 2017 deals rolling out. Official Cyber Monday 2017 date is November 27th, immediately after Black Friday, but Countdown to Amazon Cyber Monday Deals Week 2017 has already started few days ago. This is great opportunity for all shoppers to buy some extra tech products in order they have forgot it on Black Friday or even better opportunity to get extra discounts during Cyber Monday Deals Week. 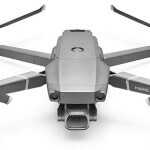 What Is Amazon Cyber Monday And How To Use It To Find Best Hoverboard Deals? Well, Cyber Monday is the date when you are able to buy tech products and gadgets like 4K Ultra HD, Smart TVs, Cameras, Hoverboards, Video Games, Movies, Smart Phones, Drones, Headphones, Speakers, Coolest and Newest Toys etc. for bargain prices because discounts on these goods are, sometimes, almost insane. After Back Friday this event is growing to a leading America’s discount event of the year. the day when you will get the hottest deals on new tech and opportunity to buy for you and everyone on your list. Among others, it is expected that Amazon will give the best deals and highest discounts of above mentioned products during this year’s Cyber Monday (actually through Amazon Cyber Monday Deals Week) and you should use it to find and buy best and cheapest hoverboards available. Just be aware, that last year some brands were sold out during Black Friday Deals Week so you couldn’t found them on Cyber Monday sale. Most of you who are waiting for Black Friday Event 2017 as the ultimate sale event of the year maybe should wait for Amazon Cyber Monday 2017 because Amazon uses to give biggest discounts during Cyber Monday Deals Week. Unlike other retailers usually offering savings just on one day (Cyber Monday) Amazon will treat you with one whole week of discounts known as Cyber Monday Deals Week. So, you will have enough time to find hoverboard deals. But, have in mind that during this period products will be on limited-time discounts meaning that the list of discounted products will change each day, so pay attention and check offers constantly. And just when you thought that there couldn’t be any more surprises Amazon pulls out Deals of the Day and Lightning Deals as super special saving opportunities and discounts for different products every day During Cyber Monday Deals Week and they are already on. It is worth checking them out daily and constantly, believe us! On Nov. 25th Amazon will issue special information about Cyber Monday so pay attention. Probably, the best offers will be for Amazon’s own brands and products like Echo, Echo Dot and Fire. In order to get starting advance for buying hoverboards and hoverboard accessories you should Try Amazon Prime 30-Day Free Trial and apply for Amazon Prime because you will get 30 minutes early access to Amazon Cyber Monday Deals and free 2 day shipping. Happy hour (or better say month) is finally here and you can find best and cheapest hoverboards for you during Amazon Black Friday Deals 2017. But it is not just one day, it is a whole month of deals Amazon started yesterday, on Nov. 1st. As usually, their Countdown to Black Friday Event is full of exclusive and wild discounts and you can use them before the event itself. The list of products on discount during the Countdown changes daily and you need to check it constantly because you may run into great deals on wanted articles. On Nov. 17th Amazon will issue special information about Black Friday door-busters so be ready to check announcement and react instantly. On Nov. 25th Amazon will issue special information about Cyber Monday, another big event where you can grab great deals on electronic products, including hoverboards. 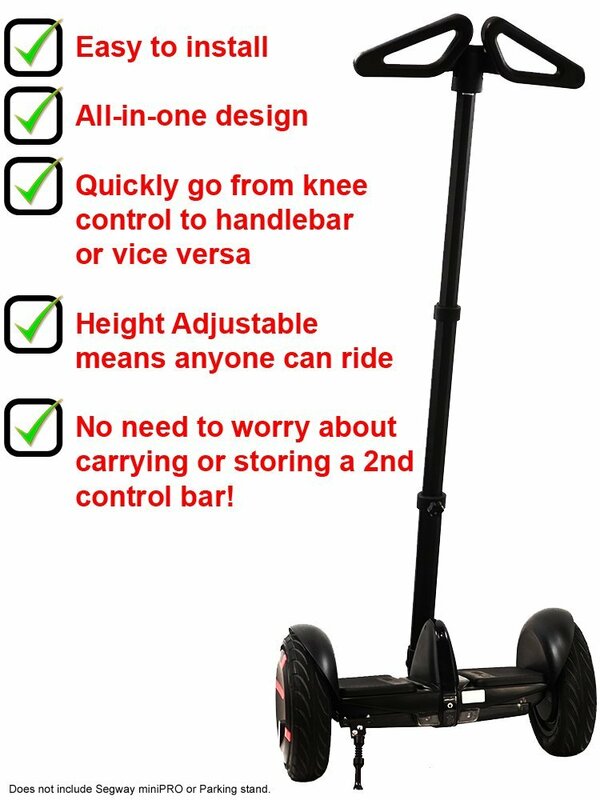 You have just purchased the brand new self-balancing scooter and now you’re looking into ensuring its safety during travelling or carrying it. We are happy to inform you that you have come to the right place because we will present to you some really great carrying cases for your brand new hoverboards. Just stay and read next couple of lines showing the result of our search for the best hard carrying cases for hoverboards. What to Look for When Buying Hoverboard Cases? First things first, you need to be sure that you are buying a hoverboard hard case that will fit your hoverboard. 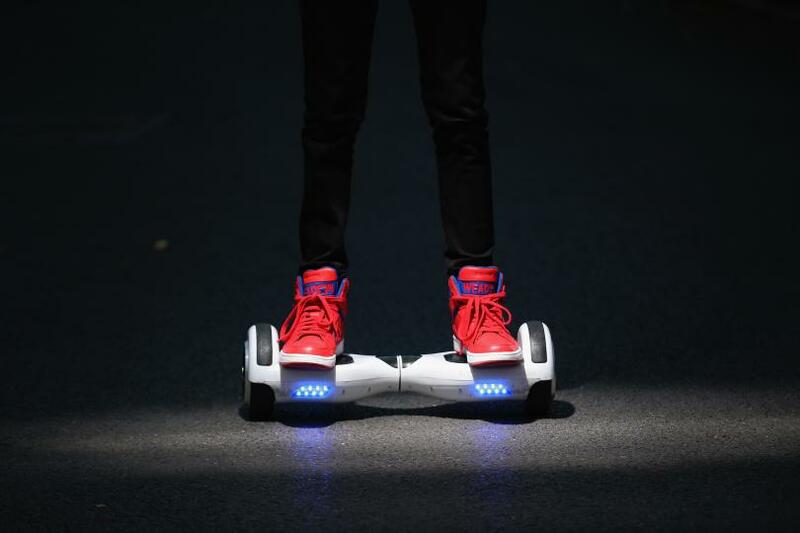 When it comes to hoverboards, you can consider yourself lucky as there are more than a few available on the market. After establishing what is the size of the hoverboard you need to make sure your case is shockproof, effectively ensuring your hoverboard will not break if you accidentally drop the case on a hard surface. And that’s pretty much it. With all those characteristics in place, you should be all set to make your decision! 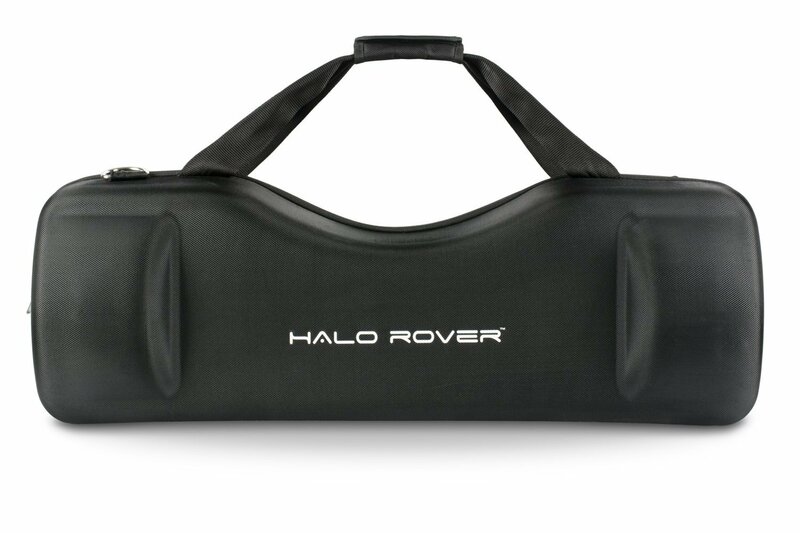 It is an official Halo Rover hard carrying case molded to perfectly hold the Halo Rover for easy transport. The case includes handles and shoulder strap for easier transport and lifting. But, that is not all. Because Halo Rover has the same size as Jetson Rover, EPIKGO, GT Hover GT8 and some other hoverboards you can use this case for them as well. This is our top choice for 6.5 inch hoverboards. It has adjustable shoulder strap for easier carrying, carry handles and jumbo zipper for better grip and easier access to hoverboard. 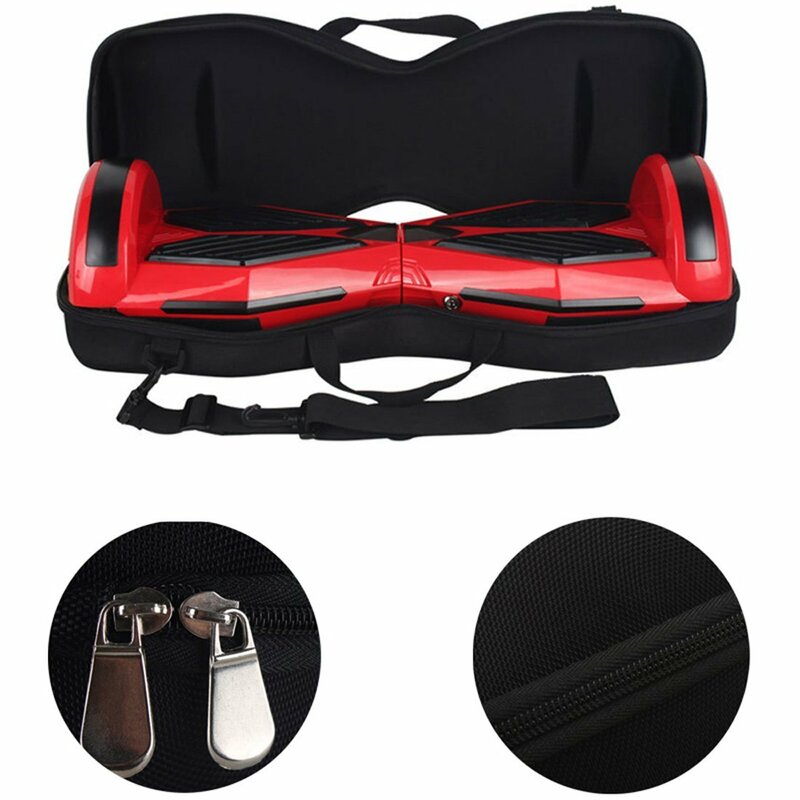 Made of durable ballistic polyester fabric and molded for persistent shape this carrying case will protect your hoverboard from all weather conditions. However, do not submerge it into water! 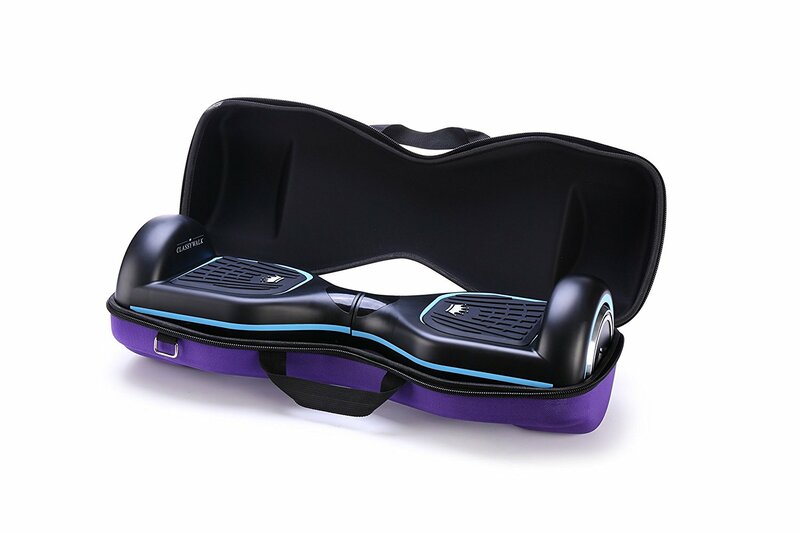 This is universal hard carrying case for 6.5″ hoverboards available in trendy colors like standard black, dark blue, green, pink, purple, red and skyblue. Hoverbird hard carrying case for 6.5″ hoverboards is a standard carrying case made with non-toxic nylon/braided material. It will prevent any damage on your hoverboard and make it safe from external damages like scratches, bumps, dust, dirt, shocks etc. It can be carried by hand or over-the-shoulder. Also, it has dual zipper and indented special pocket for the charger. This model is not compatible with the 8″ or 10″ hoverboards. Just as for 6.5″ hoverboards EVA has great hard cases for 8″ hoverboards. It, also, has adjustable shoulder strap for easier carrying, carry handles and dual jumbo zipper for better grip and easier access to hoverboard. Just be sure to choose the right size because this case won’t match 6.5″ and 10″ hoverbaords. 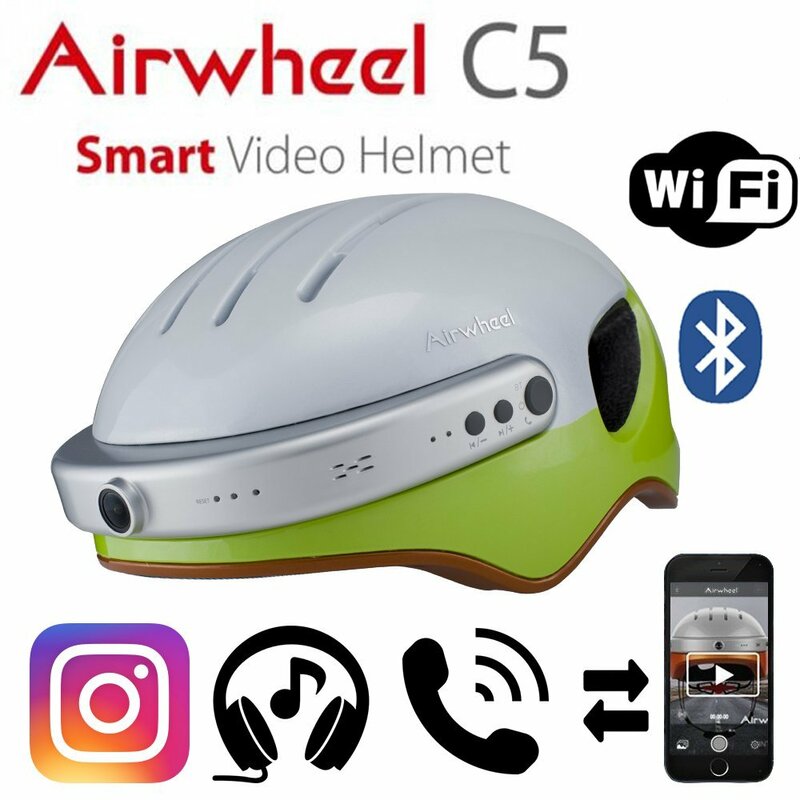 The Airwheel C5 Intelligent Helmet is made for cycling, mounting, skateboarding and hoverboarding. This smart helmet combines in one product Bluetooth wireless headphones, a GoPro camera (check for available GoPro cameras here), and a skateboarding helmet thus giving us safety and fun in one product. It has built-in front HD 2K camera and Bluetooth speaker. The helmet has internal storage of 128 GB and it is adjustable to different head girths. Through mobile app you can connect the helmet to your smartphone in order to take high quality photos and videos, make calls during the ride and play music. 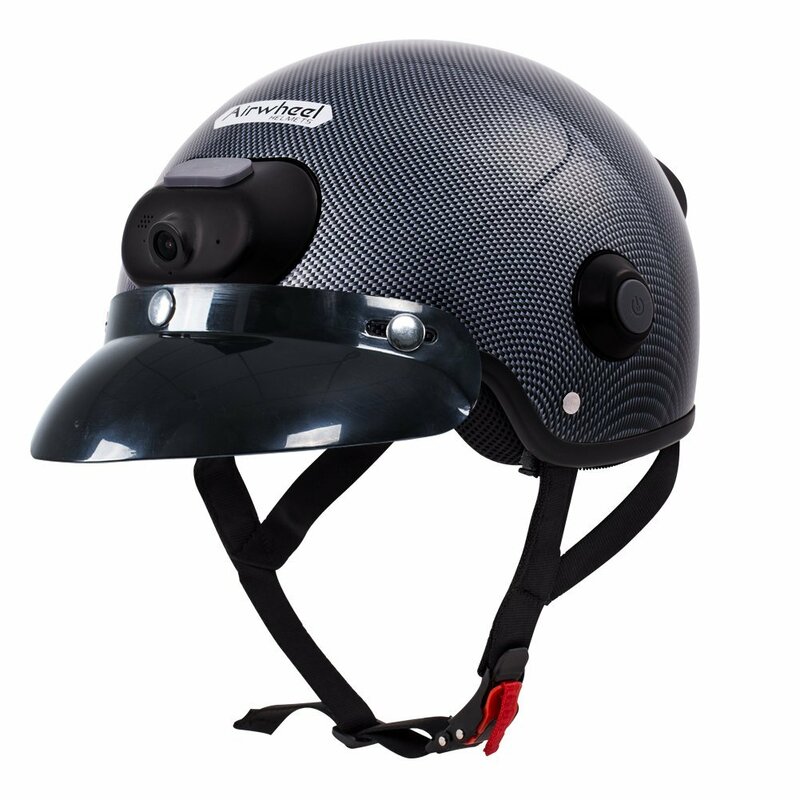 There are several side buttons the helmet for capturing photos, taking video, activating Bluetooth, volume control, music play, and Wi-Fi connectivity. The built-in Wi-Fi modules enable C5 to connect to mobile phones and Wi-Fi network in order to share HD videos and photos to your friends on social media.With fully charged Li-ion battery you will have 180 min before recharging. Definitely it will make your rides fun as never before. It is available in more color combinations like orange and silver, green and silver or just black carbon. Hoverboards are not indestructible and during the ride you will experience a lot of bumps and fall-downs. In that case you will need to protect your hoverboard in order to avoid some serious damage to your two wheel ride. But, ordinarily covers, stickers and silicone cases for hoverboards are boring, right? Not any more. we made a detailed search for the most fun and vivid silicone cases for hoverboards available on the market and found some perfectly designed for fun and ride. 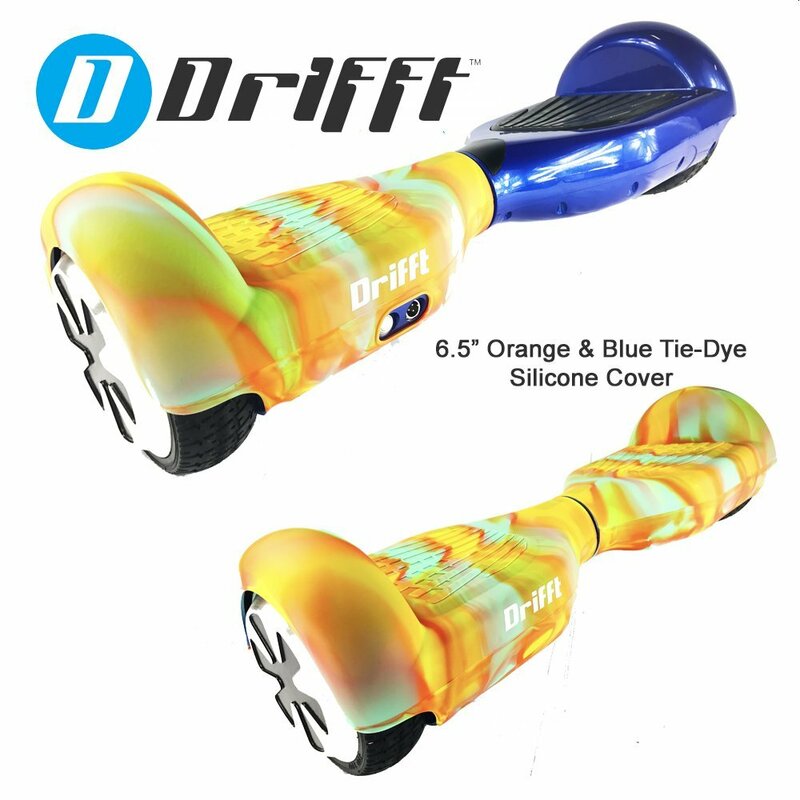 With Drifft silicone cases you will get a chance to make your hoverboard even more desirable. In various colors and color schemes these silicone cases will make the ride more fun than ever. 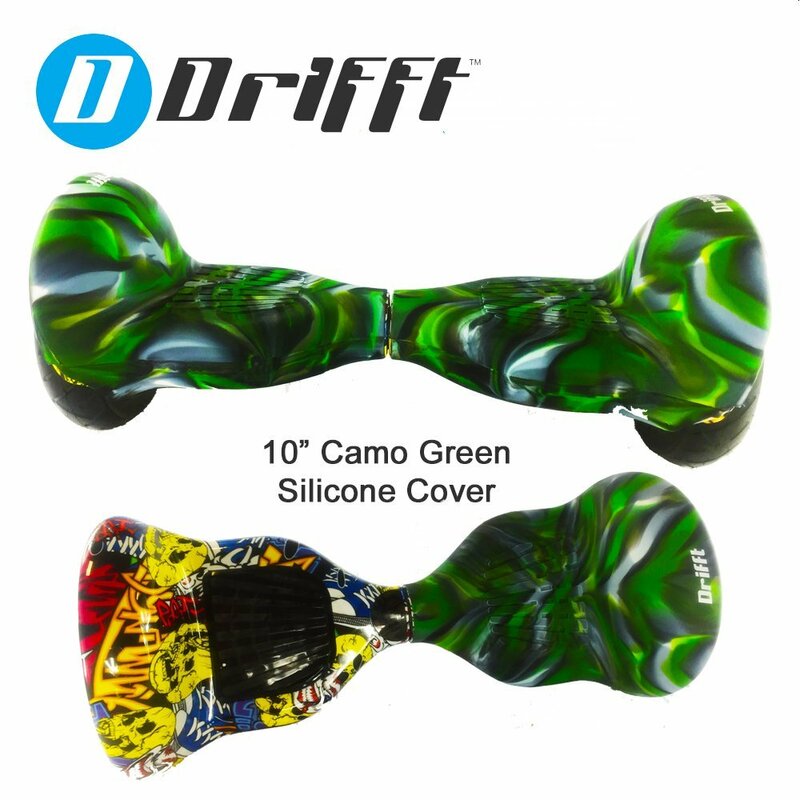 Drifft has silicone cases in different color patterns for 6.5″ and 10″ hoverboards and some of them you can see below. For full offer of hoverboard silicone cases and their prices check here. Except silicone cases you can find Drifft hoverboards in different colors. Basically those are generic, white label hoverboards with 6.5″ wheels and basic functions. 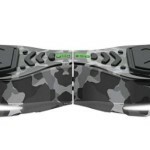 However, they are in various metallic, camo, graffiti and basic colors. Also, all Drifft hoverboards are UL2272 certified and in compliance with the most strict rules concerning fire hazards. Drifft hoverboards run at up to 8 mph and they have maximum driving range of 12 miles. Maximum weight of the rider is 220 lbs. One big plus for the Drifft hoverbords is that they are shipped by USA Company stationed in Frisco, Texas. If you are the owner of Ninebot by Segway miniPRO than you have, by most users, the best on/off road self-balancing scooter on the market. But, if you wanna stick out and be different you will need some additional accessories for this “big wheeled speed monster”. At the moment there are some really nice accessories for Segway miniPRO important both for safe ride and as a fashionable detail. #1 Security comes first – Segway Mini Pro Protective Gear Kit which consists of 1 helmet, 2 palm pads, 2 elbow pads and 2 knee pads. Segway miniPRO pro protective gear kit has official name Segway/ Ninebot Original Genuine Xiaomi Mini Pro No.9 Protective Gear kit as the latest version of the original Ninebot accessories. But this protective gear kit has some limitations regarding their users because it is best suited for persons of 160-175cm in height, 50.5-60.3kg in weight. Also maximum head circumference is 57-58cm, maximum knee circumference is 43cm or less, maximum elbow circumference is 26cm or less and maximum palm circumference is 18cm or less. In another words it is unsuitable for a larger person. However, this protective gear is made of strong and thick material which has strong abrasion resistance. 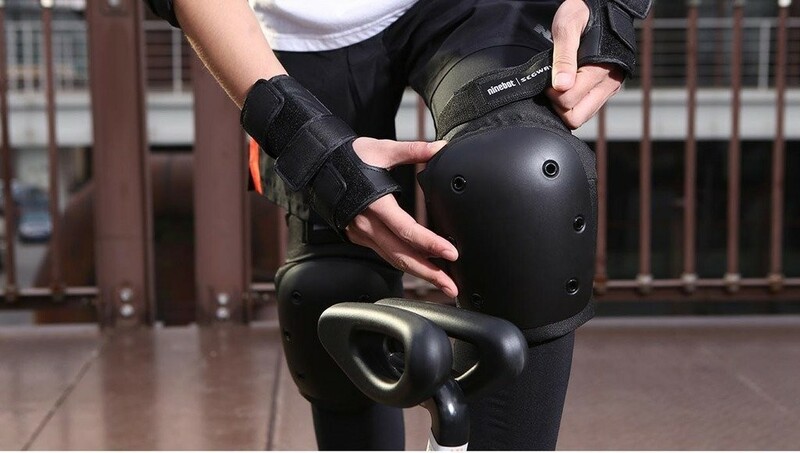 Inside of palm, elbow and knee pads as well as of helmet is cushioned adequately to take care of your comfort while, on the other side, gives the rider maximum protection from potentially dangerous accidents. 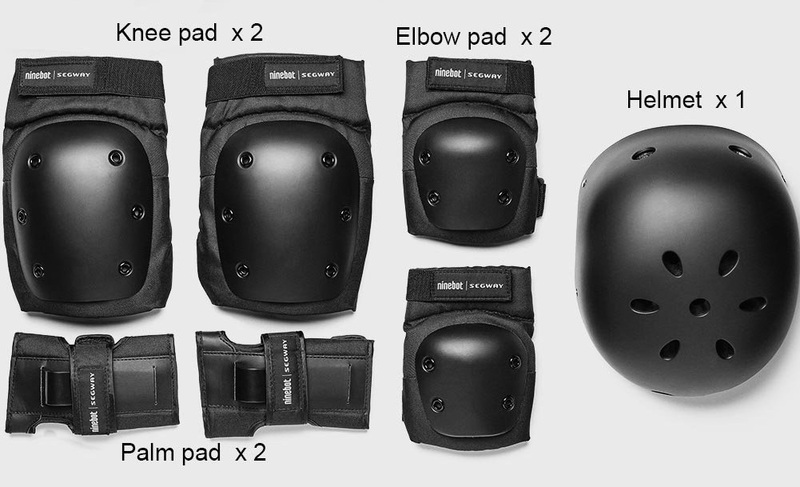 Also, the usage of this protective gear kit is not only for miniPRO ride but it can be used on all kinds of bikes, boards and skates as well as for the horse riding. #2 Grow up – Handlebar for Segway Minipro. The Handlebar is designed in Germany by KSR Group. 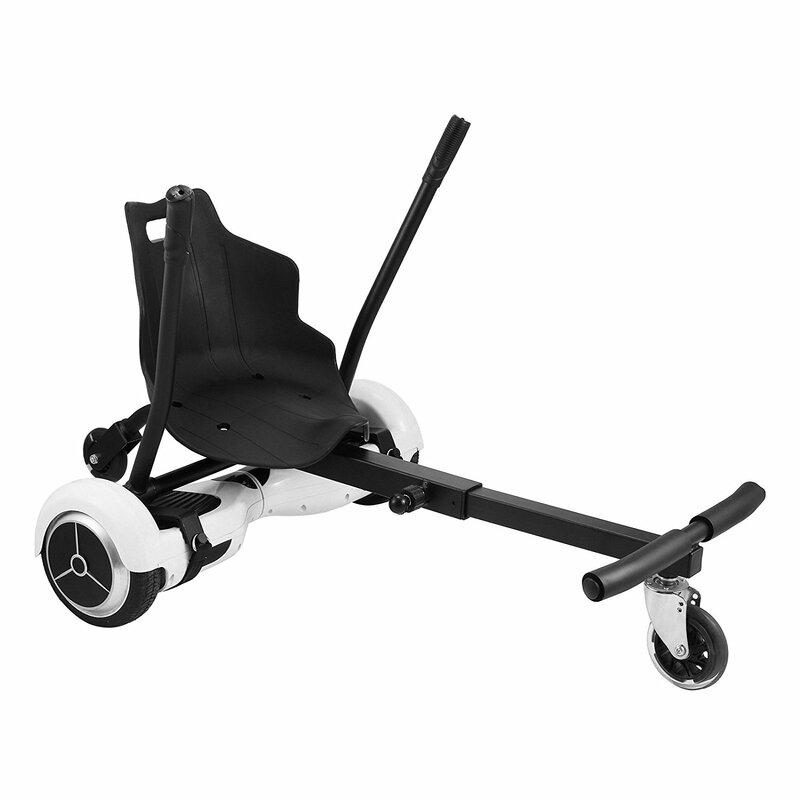 It is available in two colors (same as Segway miniPRO, in black and white) and previous users described it as sturdy and reliable. 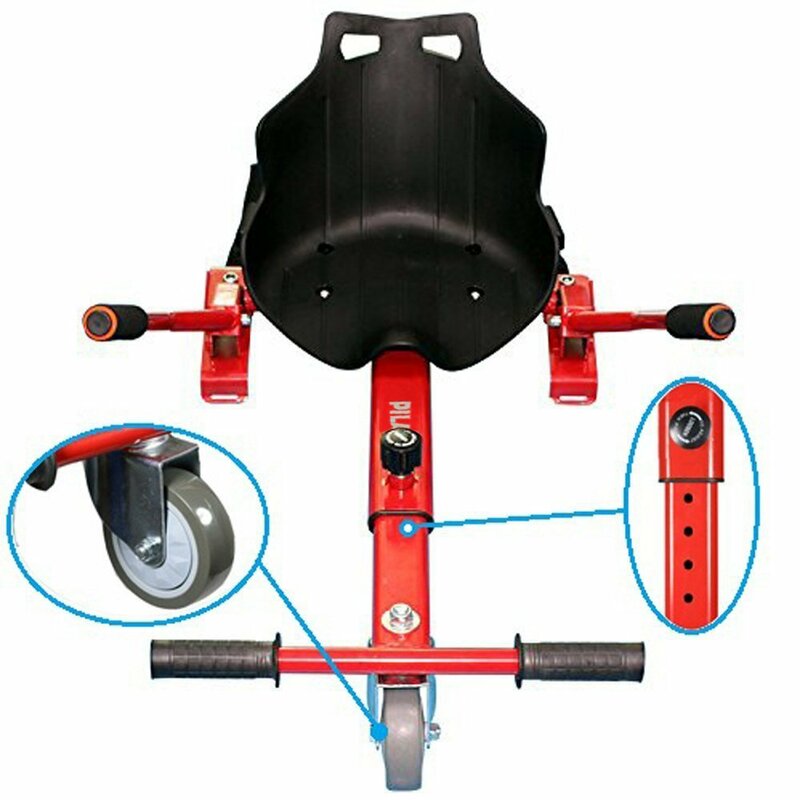 Its very easy to install Segway miniPRO handlebar and to move from knee steering bar to handle bar and vice versa, especially if you have additional quick-release lock for the fastest switch between knee-controlled bar and the handlebar. 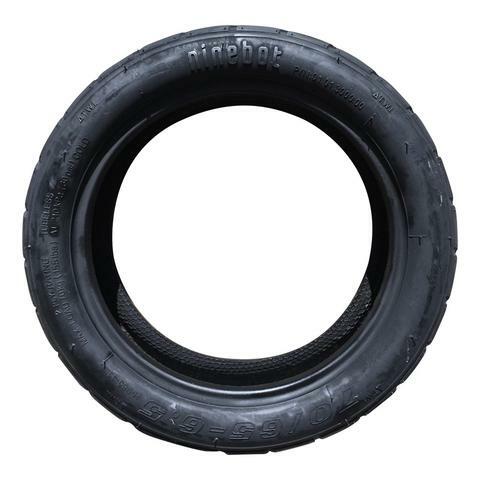 #3 Pimp my ride – Segway miniPRO Customized Tire. If you like big tires than this customized tire for Segway miniPRO is a must have. Its 10.5-inch pneumatic air-filled tire designed specifically for the Segway miniPRO. It does not come with miniPRO wheel hub or hubcap. #4 Pimp my ride plus – Segway miniPRO Decorative Blades. 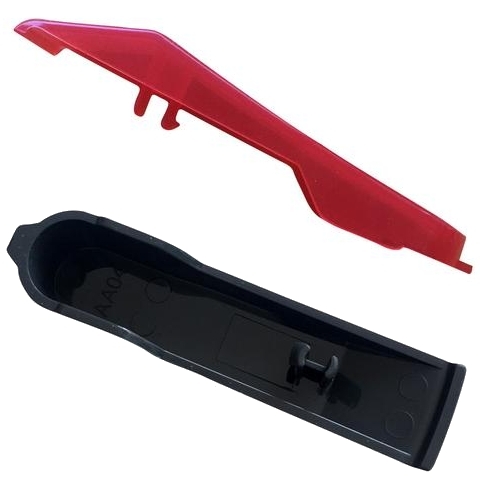 These decorative blades may be a nice touch to your miniPRO and they are available in red and grey color, so now you can easily change them or replace damaged ones. #5 Park it anywhere – Segway Kickstand. Whit this nice detail you can park your Segway anywhere without concerning if it is going to roll off on it’s own. Everybody rides a hoverboard, even the cutest and most selling blonde doll Barbie. Actually, it is more a drone-flying Barbie than a hoverboard Barbie, despite original name. 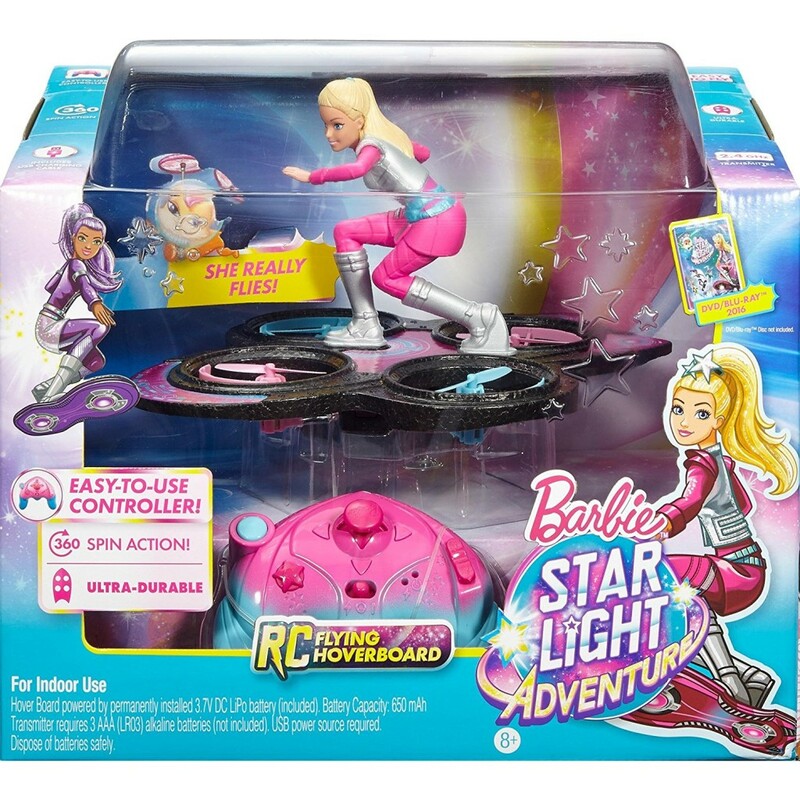 This Barbie figure is based upon the movie Barbie Star Light Adventure (available here). 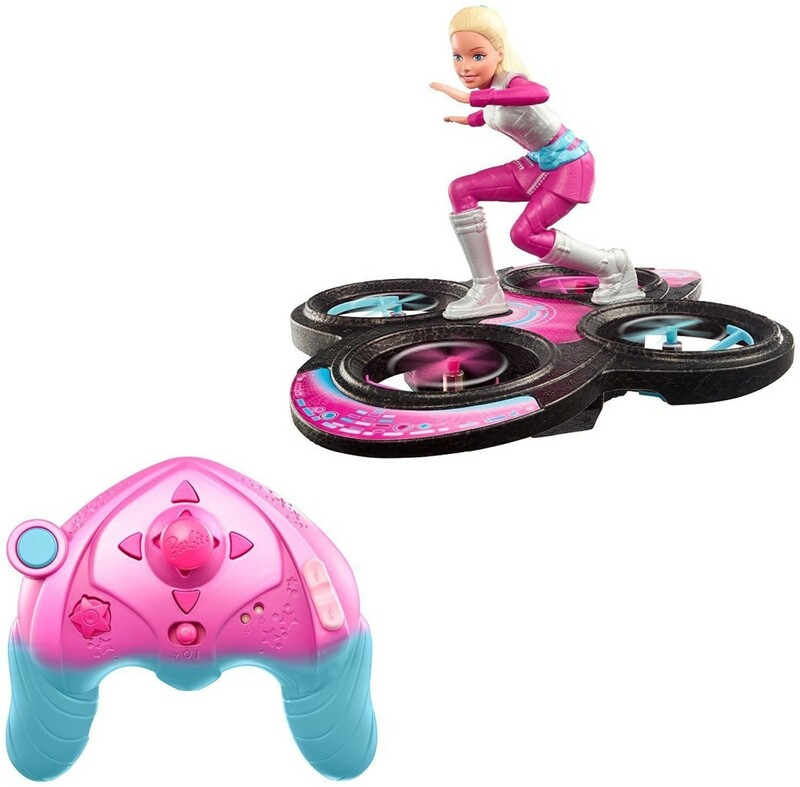 Barbie(TM) is a cosmic princess who flies on her hoverboard with her pet sidekick Pupcorn throughout the universe on the mission to save the stars. This Barbie figure wears her signature molded pink jumpsuit with sculpted silvery vest, blue utility belt and silvery boots and really flies all over the person holding the commands. It has auto-launch and auto-land functions and command pad with joystick and buttons so you are able to spin it 360 degree across the air. The remote control is also in matching blue and pink colors and this is definitely the funniest Barbie ever. Did you ever thought to make a mini kart out of your hoverboard? If you did it may be easier than you think. Nowadays you can find variety of go kart or mini kart hoverboard accessories and turn your favorite two-wheel self-balancing scooter into very pleasant and comfortable mini kart. Now, we are talking about gliding with ease and style here. If you like the idea check some of the coolest go kart and mini kart accessories for your hoverboard on the market. But remember, hoverboard is not included, these are just accessories for the hoverboard you already have or plan to buy. #1 Adjustable Mini Kart Style Holder Compatible With All Hoverboards. 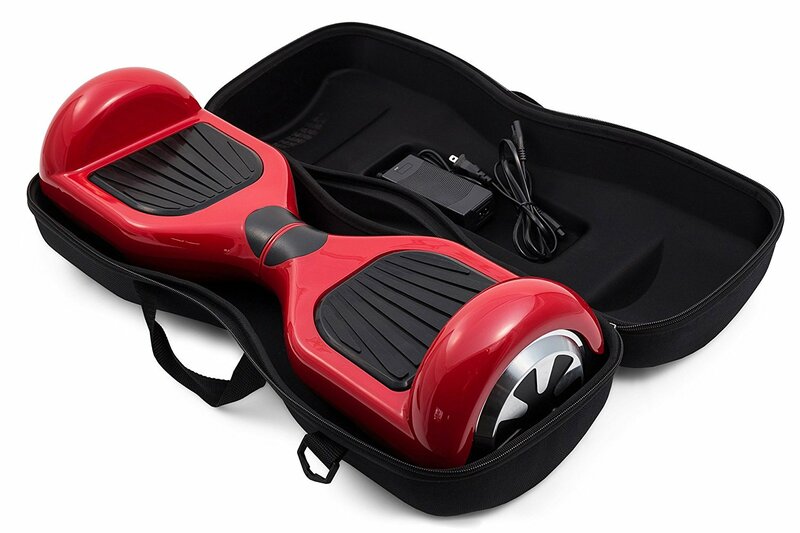 This cool mini kart hoverboard accessorie looks really nice in black and red finish and fits most models with 6.5″ 8″ 10″, such as Razor Hovertrax, Swagway X1, Powerboard, Sogo, Leray, Glyro and more. Looks pretty cool and powerful with nicely shaped seat. Worth cheking it if you are a fan of mini kart. 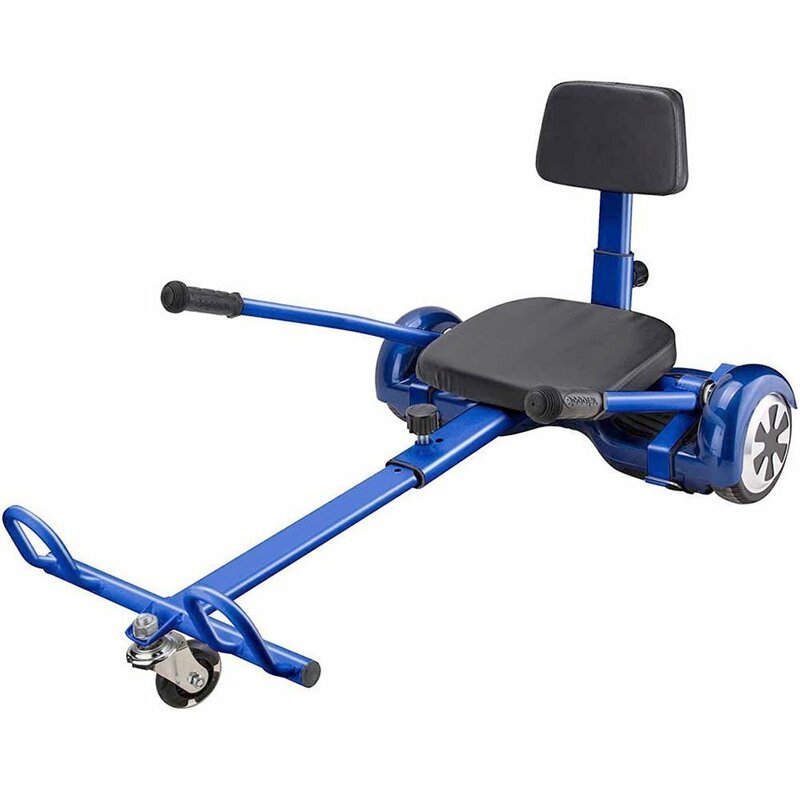 It is made for adjusting on hoverboards and it is adjustable for children and grownups with maximum load of 250 lbs. 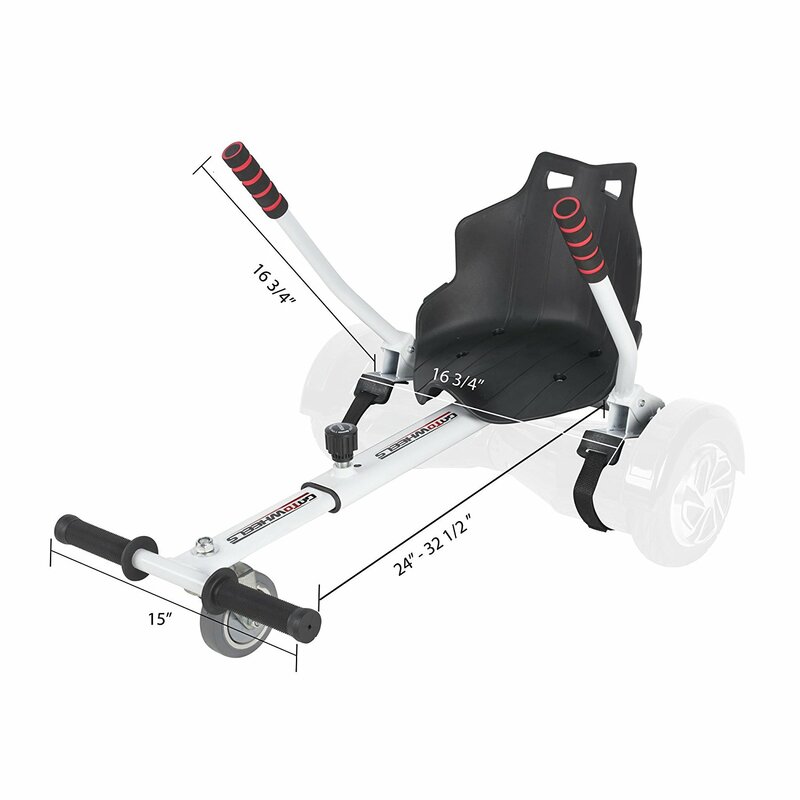 #2 GoToWheels Mini Kart Accessory fits 6.5″, 8″, and 10″ hoverboards, including most models of Swagtron, Razor Hovertrax, Swagway, Powerboard, Sogo, Leray, Glyro and other hoverboards. Seat is also in black color and it has just one central adjustable oval rod giving the more robust look. 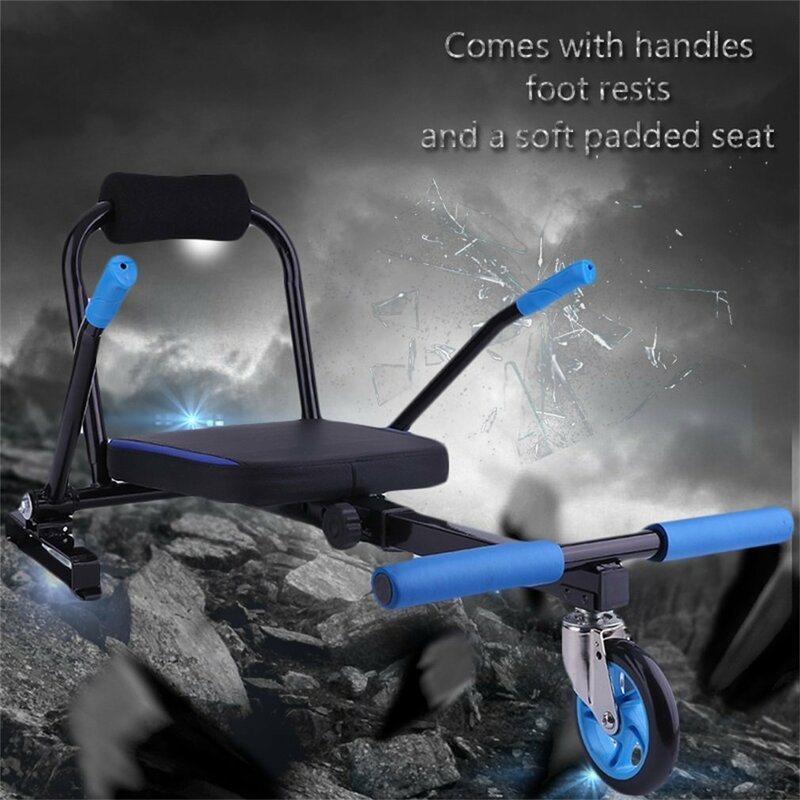 #3 Homegrace Mini Kart Accessory looks simplier than previous two models, but it is comfortable enough with adjustable central rod and with blue and black combination. This model is suitable for 6.5″ and 10″ hoverboards. Grab it while it is on sale. #4 VEVOR Mini Kart Accessory for hoverboards comes in stylish silver and darker blue combination with adjustable central rod for different rider heights. 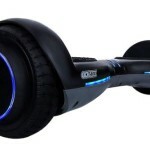 Tis model is suitable for 6.5″ and 10″ hoverboards too. VEVOR has some of the finest mini kart accessories for hoverboards. #5 GoKart Mini Kart Accessory for hoverboards comes from well known producer of hoverboard accessories. It is in black , blue, green, pink, white and completely black combination with retractable skeleton. Also, there is a model with sport seat. 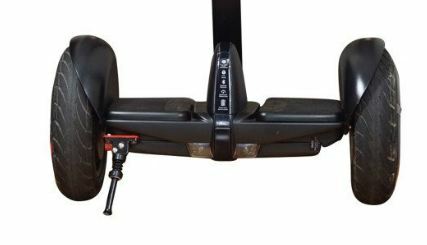 It is fully adjustable and compatible with all kinds of hoverboards with 6.5″ 8″ 10″ and will fit them all. One of the main issues today about hoverboards or two-wheel self-balancing scooters is safety and potential fire hazard. You can find tones of articles covering stories about fires and explosions on hoverboards across the World. And it is really happening, maybe not so often as those articles implying but it happens. And if you remember, same articles about fire and explosion risks where pretty often few years ago when they wrote about battery risks at smartphones like in this article or this one. So, hoverboards are potential fire hazard due to possibility of low quality batteries installed in them. How to fight against possible fire and explosion of the hoverboard and why this is happening? You must know that there is great number of factories, not only in China, that are producing Li-ion batteries used for hoverboards, smartphones and other devices. Li-ion batteries are packed with an incredible amount of energy, and are slightly more volatile than disposable alkaline batteries. Because of that there is growing number of air-freight companies which are not comfort with transport of Li-ion battery shipments and some of them have banned that kind of shipments. In order to compete on the market some of the producers are producing low quality Li-ion batteries which can easily explode or combust due to lack of production standards and cheap material flaws. So, you need to buy quality and certified batteries and battery chargers for your hoverboard in order to avoid explained risks. 1. EvaPlus 42V Hoverboard Charger , UL, FCC, CE, RoHS approved – This charger is suitable for hoverboards, scooters, drifting boards etc. which has the same charger interface and voltage. 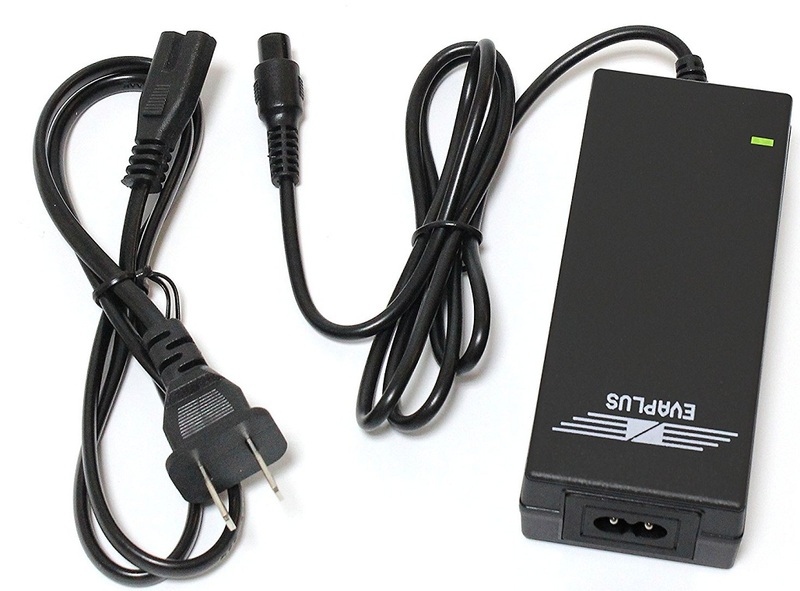 Input voltage range is 100-240V and output is 42V, 2.0A. Also, it comes with LED charging indicator for more convenient use and short circuit and overload and overvoltage protection. 2. FutureBatt Charger for Hoverboard/Two-Wheels Self-Balancing Scooters – This Li-ion battery charger and has input voltage range 100-240V, ~50/60 Hz, 2A(max) and output 42V/2A,84W. It is UL / FCC / CE / RoHS approved. Charger has 2 LED indicators: RED – charging in progress and GREEN – charge full/disconnect. 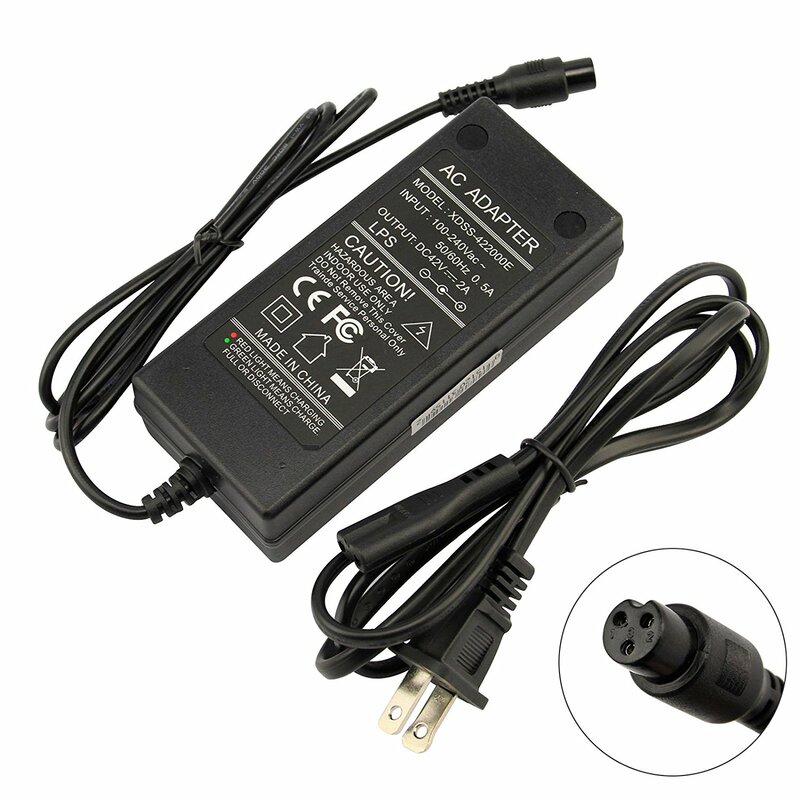 The producer of this charger provides 1 year warranty and 24/7 e-mail support. 3. 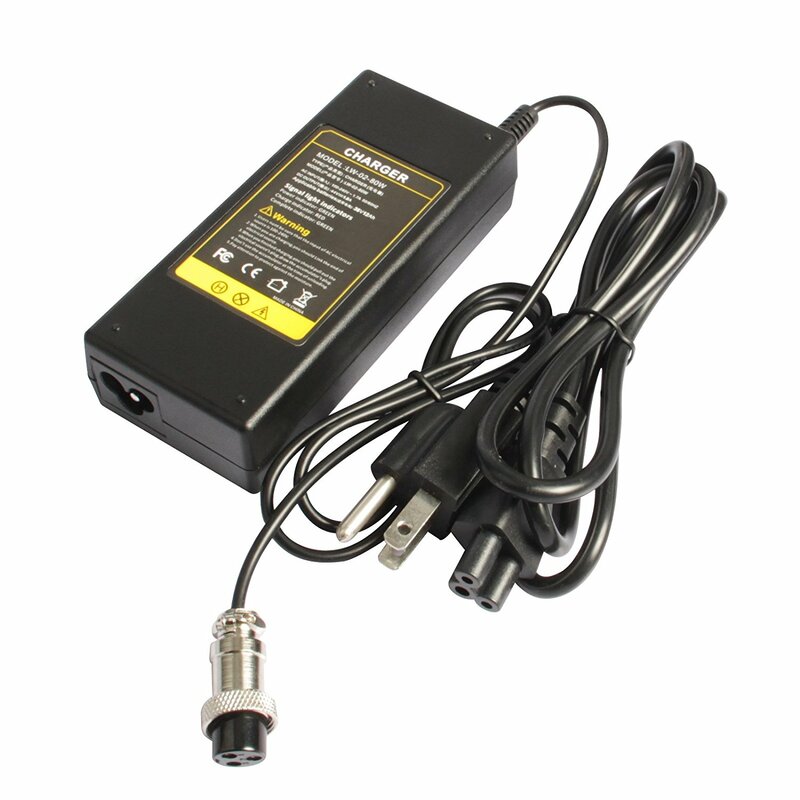 Fancy Buying Hoverboard Charger, (44V 2000mA 1.8A Adapter) – This charger has indication light to show that the charging is completed and Short Circuit Protection and comes with full 12 month warranty.